I’ve been inspired by narcolepsy. It has forced me to change the way I live, move past the trivial, and dive into what is meaningful. I have spent the last five years traveling and I was inspired to start this blog while visiting Yangon, Myanmar. I came here to visit a wonderful friend, and to start a journey through Asia. I started to realize how amazing it is that even with all that I have been through with Narcolepsy, I’m able to be here today. Instead of letting my diagnosis drag me down, I’ve actually become inspired by narcolepsy. I don’t want this blog to be about me though. I want it to be about how YOU can also fulfill your dreams. I use a myriad of coping mechanisms to mitigate the symptoms of narcolepsy. As we all know, there is no cure. Maybe not all of my alternative remedies are right for you, but I hope you will try some out and see if they can make even the smallest impact on how you feel. I will continue to add things I use, and things I don’t use to make this a comprehensive resource. Today I want to talk about the one that sounds the simplest but may be the most difficult thing. 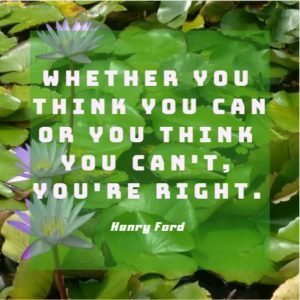 The power of thinking positively. It is so important for you to understand that if you think you are going to feel bad, you will. If you think you cannot do something, you won’t do it. Over the past couple of years, I have learned that how I think has a HUGE impact on how I feel. Let’s start small and take a few moments every morning to decide that today is going to be a good day. You can take it a step further and visualize everything that you want to see happen during your perfect day. While visualizations don’t predict the future, they do help your brain become aligned with your desires. If you are ready to continue on this journey with me, sign up for my email list below. You will receive emails with small tips and exercises like this one to slowly create new habits and beliefs that will transform the way you think, and the way you live. You can also comment below to let me know how you have been inspired by narcolepsy! getting the right mind is the start of the right journey!